"My family and i have been coming for years. Great service. Highly recommend Dr Lichy"
"Best doctor for anyone looking for pain relief"
"My chronic headaches have subsided & I feel like I walk taller every single time I leave"
Dr. Lichy was very easy to talk to and offered great advice. "Dr. Lichy is a Chiropractor you can trust for the best possible results." " I am pain free and he changed my life. I highly recommend him." "I recommend him to all my friends and family. He is THAT good!" "I recommend Dr. Lichy without any hesitation to anyone seeking pain relief." 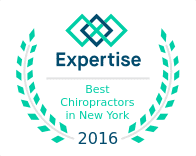 Dr. Isaac Lichy is a leading chiropractor on Manhattan's Upper East Side, providing advanced chiropractic care to local patients since 2005. From routine chiropractic adjustments aimed at achieving better overall health to more complex care for injuries and other medical issues, Dr. Lichy is experienced in determining the most effective treatment options for patients based on their individual care needs and concerns. As a top provider of chiropractic care, Dr. Lichy is committed to offering the most comprehensive array of treatment options using state-of-the-art technology and techniques for optimal results. Skilled in advanced approaches including decompression therapy, Dr. Lichy helps patients suffering from herniated discs, sciatica, and neck and arm pain find relief without the need for invasive surgery. In addition, Dr. Lichy is skilled in caring for pregnant women, providing relief from many of the unpleasant symptoms of pregnancy including back pain and nausea. The office is equipped with a table specially constructed to accommodate pregnant women from their first trimester all the way through to delivery. Dr. Lichy's ongoing commitment to learning new techniques means patients of all ages can feel confident they're receiving the best, safest and most effective care for their unique health needs, including issues affecting the musculoskeletal and nervous systems, chronic pain and headaches, arthritis, scoliosis, repetitive motion injuries and injuries due to sports, car accidents and other trauma. Dr. Lichy graduated from the University of Bridgeport in Connecticut and is certified by the National Board of Chiropractic Examiners (NBCE). His office accepts all major insurance providers, and he speaks English, French, Spanish and Hebrew. We're excited to announce that we've moved to a new location at 163 E 87th Street New York, NY 10128 between Lexington and 3rd. Our goal is to offer the highest quality service and treatment to our patients. The new facility allows us to provide better service with easier access! As a Chiropractic Physician, Dr. Lichy has witnessed first-hand the ability that Chiropractic care can have in restoring function to the spinal segments of the injured areas of the neck and back. For years Chiropractors have served thousands of patients that have suffered injuries as a direct result of an automobile accident. The amount of insult to the fine motor muscles and supportive ligamentous structures of the spine respond very effectively to gentle Chiropractic care. The healing benefits of Chiropractic manipulation coupled with other therapeutics such as massage and active rehabilitative techniques used in our clinic, are very powerful tools to help the body restore the function that accident victims commonly sustain as a direct result of injury accidents. During an accident there are a lot of forces that are placed on your body. Regardless of the damage done to your vehicle there can be forces placed on your body creating “whipping-type” movements in the neck and back as well as other parts of your body, causing injuries. Many times the symptoms of pain due to these accident related injuries, whether in the neck, back, arms shoulders, knees or legs, can be delayed. When these pains appear, you may think at first that the pains will go away. You may try to ignore these pains such as headaches, neck and back pains but often times they not only don’t go away, they keep getting worse. At NYC BACK Chiropractic we focus on the treatment of injuries caused as a direct result of the automobile or work related accident. We document our patient’s injury accident thoroughly and then do a very complete examination so that we can determine the extent of the patient’s injuries and what specific things need to be done on their behalf. Our treatment techniques incorporate the best care possible for the gentle and long term improvement of our patient’s condition. The treatment includes, Chiropractic adjustments, electrical stimulation, mechanical spinal decompression, Active Rehabilitation, home therapeutics; including one on one training for home exercises, in office exercises; using state of the art equipment such as whole body vibration. Above all, loving care to “Truly Make a Difference” for you individually. Besides pain related to injuries that can occur as a direct result of an automobile accident, you may also experience confusion and frustration as a result of all of the hoops you feel you have to jump through just to make yourself whole again. We have had many years of experience dealing with injuries associated with automobile and work related accidents. We know how to properly document the mechanics of the injury so that the questions required by the insurance adjuster are properly addressed. Allow us the opportunity to attend to your needs on all levels from attending to your individual specific injury needs to making sure that the proper documentation is in place for you to get the care that you need and deserve. At NYC Back Chiropractic, we teach our patients how to perform special "blueprint" exercises which can help strengthen and correct the irregularities in their body which may be causing pain. Many of these corrective exercises can actually be performed in the comfort of your own home to help improve the effectiveness of your chiropractic care and spinal correction plan. In addition to skeletal misalignment, you may be experiencing pain that is caused by muscles and connective tissues which are out of their proper place. Other types of pain such as back pain, neck pain, and headaches are caused by muscles and tissues that are being used improperly, causing injuries over time. In each case, targeted corrective exercises and stretches from our experienced chiropractor will help you feel good while also helping your body achieve balance and health. There is a saying that an ounce of prevention is worth a pound of cure. Your spinal health is no exception. Posture and spinal screenings by a trained and experienced chiropractor such as Dr. Isaac Lichy can help reveal important health information, unlocking the door to improved health and well-being. In order to help the New York community, we provide screenings at area malls, community events, health fairs and places of employment. Contact us today to arrange a screening at your event or workplace. Welcome to the new patient center for NYC Back Chiropractic! That's why at NYC Back Chiropractic our aim is to remove any unnecessary stress or tension and make you feel comfortable during your visit with our chiropractor. In this section, you will be able to take care of the items necessary for your chiropractic visit prior to arriving, in the comfort of your own home. Dr. Lichy accepts most major insurance plans. For questions regarding insurance and your visit to NYC Back Chiropractic, please call the office. "Dr. Lichy is second to none. He intently listened to my concerns and ailments and gave me excellent treatments to help me with my specific issues." "Dr. Lichy is very friendly and his treatment is effective. I wouldn't use another chiropractor ever again after my experience with him." "Dr. Lichy is great. Knowledgeable, approachable, and helpful. He listened to my concerns and gave me the perfect treatment to address them." "When I first came to the office, my NECK and SHOULDERS were hurting so bad I could barely move. I recommend people check out this Chiropractic clinic because it works." "When I first visited I was in so much pain, I can not explain. Thank God for the chiropractors at this office. I don't have to be in pain anymore." "I'm so happy I found his practice, I wish I had gone sooner, the aches on my shoulders and lower back are completely gone, Dr. Lichy is awesome. Highly recommended!" "I came to see Dr. Lichy with a severe back injury. I was living with pain everyday. With his help, the pain is gone and I am on my way to living a normal life again." "Dr. Lichy is the best chiropractor I've been to in 8 years and 5 different ones I've been to. He's thorough and has an excellent demeanor." "Dr. Lichy, I can't thank you enough for putting my spine back into alignment this summer. I also appreciate that you listened very carefully to my weekly problems." "One of the best chiropractic appointments I've ever had. The doctor is very knowledgeable and pleasant." "Dr. Lichy consistently gives individualized treatment, he genuinely cares about his patients and gives awesome adjustments! I highly recommend Dr. Lichy!" Dr. Lichy and staff were very easy to talk to and even offered great advice when deciding on the right mattress for me to help correct ongoing back pain.